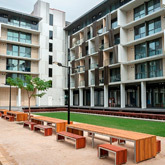 The University's heritage-listed buildings, excellent facilities and beautiful garden surroundings provide the perfect setting for a host of functions. They are used regularly for corporate seminars, conferences, group or club meetings and weddings. Accommodation is available for conference delegates at the residential colleges during University holidays. You can book the gardens for weddings, photographic sessions and other events. 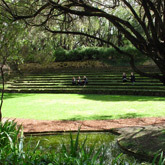 UWA offers attractive facilities for conferences and seminars. Find out more about booking our teaching spaces. 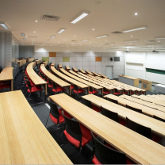 Large lecture theatres accommodate 90 to 330 people. They have air-conditioning and audio visual equipment permanently installed (data projector, overhead projector, microphones and projection screens) and the use of this equipment is included in the hire fee. Smaller lecture and seminar rooms can accommodate 15 to 70 people. The University Club – provides a blend of personalised service and five star facilities and can accommodate dinners, banquets, special events and conferences. 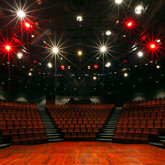 University Theatres – feature ten performing arts and function venues that can be hired for dance, theatre, music, comedy, films and exhibitions. We provide comprehensive venue management services, including technical and front-of-house staff, ticketing and lighting design. Clinical Training and Education Centre (CTEC) – combines an interactive hospital environment with expert clinical educators to provide surgical and procedural skills training for health professionals.